What set the whole kerfuffle in motion was a documentary titled “The Problem With Apu,” released late last year. 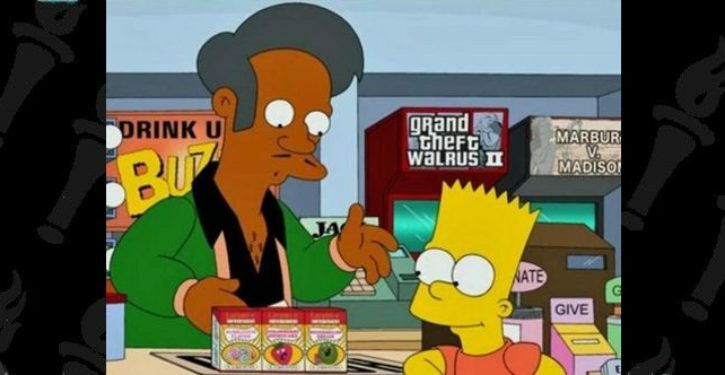 The film took the series to task over the character of Apu Nahasapeemapetilon, a convenience store owner who is — what else? — Indian. 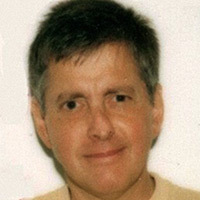 Instead of falling all over themselves with mea culpas and promises to excise Apu in future episodes, the series producers reacted to the charges by writing an episode in which two of its main characters, Marge Simpson and her daughter Lisa, decry the idiocy of political correctness. Here is the clip. Pay careful attention to the blocking of the scene, such as the camera panning out at the end of Lisa’s first speech to reveal a photograph of Apu on her nightstand. His followers on Facebook have demonstrated themselves to be as humorless and thin-skinned as he is. A single example will serve.